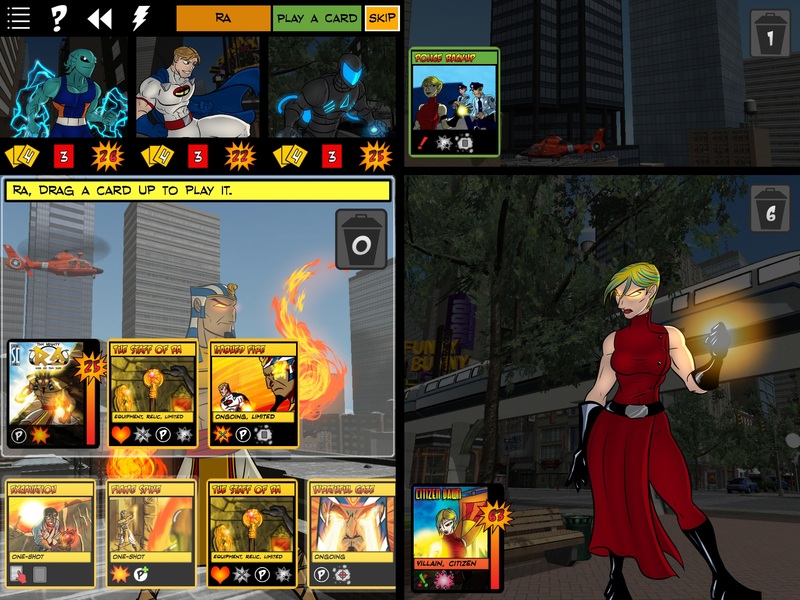 A couple of weeks ago I wrote that Sentinels of the Multiverse ($6.99) was getting a huge update last weekend that would add a multiplayer mode to the popular card game. Well, unfortunately Sentinels is still a single-player game, so, what’s the deal? According to the developers, the update lost its way somewhere in the corridors of Apple’s underground layer, a not-unheard of scenario. The game had previous issues with Apple’s review process, and from the looks of it none of those issues were the fault of the developers. When Handelabra submitted the Sentinel’s multiplayer update, it got a message that the review team had a question about it. As you know, that’s never a good message to receive when it comes to Apple’s review process. Apparently, the issue was that the game lets you unlock variants with a “cheat code," a decision that was made in consultation with the players and was intended to allow people to access content fast and easy if they so desired. This code allows players to get promo cards 30 days after they are added to the game, and this method was chosen precisely to avoid forcing players to buy those cards as an IAP. Even though this feature has been in the game for quite some time and has never been an issue in the review process, this time the reviewer told the developers that the feature runs afoul of a guideline prohibiting the unlocking of content using mechanisms other than the App Store. The developers have removed that feature and have resubmitted the update, which should hopefully be available within a week. It’s quite interesting that a developer had to remove a feature included to avoid IAPs or Apple wouldn’t allow the update to hit the App Store. While I’m sure there’s sound reasoning behind most of Apple’s guidelines, I’m also pretty sure no one’s crazy about a developer penalized for trying to avoid IAPs. Apple’s review process really needs to be more consistent because no one likes dancing to more than one tunes at the same time. I’m not holding my breath, though.